Our happiness in life does not depend entirely on having an intimate relationship, but it's definitely enhanced by having bonds which are both healthy and close. Our happiness in life does not depend entirely on having an intimate relationship, but it's definitely enhanced by having bonds which are both healthy and close. If it looks as though yours are not working as well as you would like them to, it is possible that with some minor adjustments you might get things back on track. Research in the area of relationships and well-being is among the fastest-growing fields in psychology. It's even known that close relationships matter for health, according to Paula Pietromonaco's (University of Massachusetts ) recent publication (2013) with Bert Uchino and Christine Dunkel-Schetter. With the benefit of several long-term studies which have followed successful and unsuccessful couples over time, researchers now know about some of the most common mistakes people make in relationships. By catching problems early enough, though, you can overcome those challenges before they take on insurmountable proportions. 1) Constantly questioning your relationship. Do you often sit around wondering whether you and your partner are going to still be together tomorrow, next month, or next year? Do you fear to jinx your relationship by doing or merely thinking the wrong thing? Do you search for signs of preoccupation expressed by your significant other as evidence of their disinterest in you? Well, constantly questioning your relationship means that you're insecure and you doubt it will last. Therefore, it might be less likely to feel comfortable about any commitment you make about the future. If you are always looking for a “Plan B,” then your partner might sense it, and the relationship's future demise may then become a likely prospect. 2) Taking your significant other for granted to an unhealthy extent. As relationships mature, there is a tendency to assume that it is fine to let the typical niceties of life slip and slide. Some of that is normal, appropriate, and even relationship-building. Nevertheless, from time to time it does not hurt to reflect on what our life would be like without our partner. What would this mean for our everyday existence, our overall well-being, and our thoughts about our future happiness? Once we begin to formulate a picture of ourselves without our partner, this image may help us take the extra step to show our partner affection, interest, and concern. It’s too easy to dismiss the people we’re closest to because we expect them to be there no matter what. By doing so, they might very well seek out people who will give them the attention they’re not getting from us. 3) Taking your partner too little for granted. It isn't a good idea to ignore your partner, but it’s neither productive for the relationship if you're constantly worrying about whether they really care about you. People who are anxiously attached to their partner become so clingy and dependent that they can drive the other person away through their excessive need for reassurance and affection. After you and your partner have established your commitment to one another, it should not be necessary for you to keep on questioning and wondering whether your partner sincerely cares. Even if you have not reached the serious commitment stage, you need to be able to tell from “behavioral” data whether they care about you. Such data can include remembering to call or text you, being courteous, doing you favors, and being kind to the people you love. If you don't see these signs, there might very well be others certain to your relationship that, if you notice carefully, show how much your partner does care for you, which in turn could help you become less anxious about your relationship. 4) Letting the boundaries slip around your relationship. In an intimate relationship of any kind, there are bound to be secrets. Letting other people into your private world, even if it seems perfectly harmless, might erode your partner’s feelings of trust in you. If your partner finds out, they will feel betrayed or even humiliated. For instance, let’s suppose you tell a relative that your partner does not care for his boss. Now let’s say that it’s unlikely that your relative and your partner’s boss ever meet. But there is always a random chance. Also, what if your relative forgets that this is a secret and mentions it in front of your partner in conversation? It will be obvious that you were the source of information. Your partner might never even find out that you have been tattling, but the fact that you have done so might put your relationship in jeopardy nevertheless. You may begin to worry about having opened your mouth and over time begin to feel guilty and anxious, emotions that may become troubling and problematic. 5) Complaining about your partner to everybody except your partner. We all can imagine ways to change the behaviors of our long-term partners. Instead of letting your partner know, however, you may mistakenly share your unhappiness with anybody who will listen. Apart from leaking secrets in the relationships, such tendencies may become counter-productive on their own. Most apparently, by not telling your partner directly what is bothering you, it is unlikely that they would know that you’d like to see them changing some things about their behavior. Less obvious is that by constantly focusing on what is bothering you, it'll be more difficult for you to see the good things in your partner. These negative ideas about minor annoyances might gather momentum over time, and before long, prevent you from seeing their other admirable and endearing qualities. 6) Turning on the passive-aggressive switch. There are numerous ways to be passive-aggressive in a relationship. Everything from avoiding to do something you’d rather not, to agreeing with a suggestion you never follow…the list is endless. Perhaps you think it is safer not to object outwardly to a request and disagree with something your partner says but by not letting your partner know how you feel, you are closing off a route of communication. Of course, not all passive-aggressive behaviors are conscious. Your forgetting or avoiding to do your partner a favor, like setting the alarm clock in time for an early morning appointment, might be because you would rather sleep in than having to wake up early. Nevertheless, it might mean that you are upset over the reason your significant other has to get up so early, whether it is to catch an early airplane or to go take the ex’s kids to daycare. If you are engaging in behaviors like this, and it isn't typical of you (i.e. you are usually very organized), you may take some time to reflect on what is bothering you and discuss it honestly with your partner. 7) Giving up on your partner. Everybody goes through challenges, whether it is losing a job, suffering from health issues, or dealing with an addiction. It’s at those hard times that your partner needs your support, but it is also at those times when you might be feeling the most worried. Without having to cover up your concern with a Pollyanna-ish optimism, it’s more significant than ever at those challenging times that you hang in there and let your partner feel that they'll come out of this trying time. 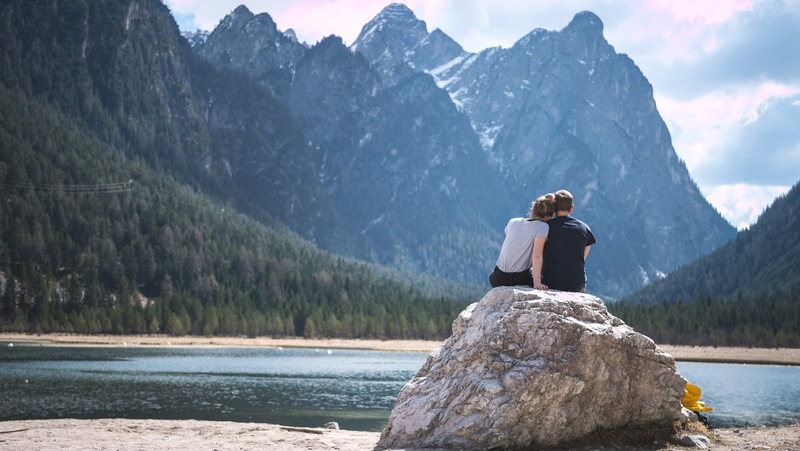 Your support not only can help ease your partner’s pain but might be just what is needed to help your significant other summon up the resources to overcome their challenge. Apart from any personal challenges that your partner might be confronting, couples also deal with their own sets of difficulties. The possible reasons to feel hopeless can vary from somebody’s infidelity, differences in personalities, lifestyle, and values, or mere misunderstandings which mushroom into out-and-out warfare. If you let yourself give up on the situation, you will be far less likely to put your emotional investment into the steps you will need to follow for relationship repair. Many people develop hopelessness toward their relationships through a set of cognitive distortions, like believing what is bad now will always be bad, life “should” be worry-free, and minor disagreements reflect basic underlying flaws in α couple’s prospects for true intimacy. Every time you think about the important people and aspects of your life, what rank would you give your partner? Who comes first? Your children, parents, or friends? How about your work colleagues or your job in general? It might be very logical and understandable to put your kids first, for instance, because depending on their age and phase in life, they need you. Also, there are different qualities to your romantic relationship compared to your relationship with children or other family members. In reality, there is no need to decide who is more important. But by playing this thought experiment, you can gain insight into where your significant other fits into your overall life goals. If there is a huge mental gap between your children, job, friends, or other people and involvements, it is likely that your partner experiences this undervaluing. Once again, looking toward these behavioral signs, if you are at a social gathering, see whether you drop your partner in favor of other people, leaving at the end of the evening without even having exchanged more than a word or two. Your partner may not admit feeling snubbed, but this lack of attentiveness can be experienced as rejection.